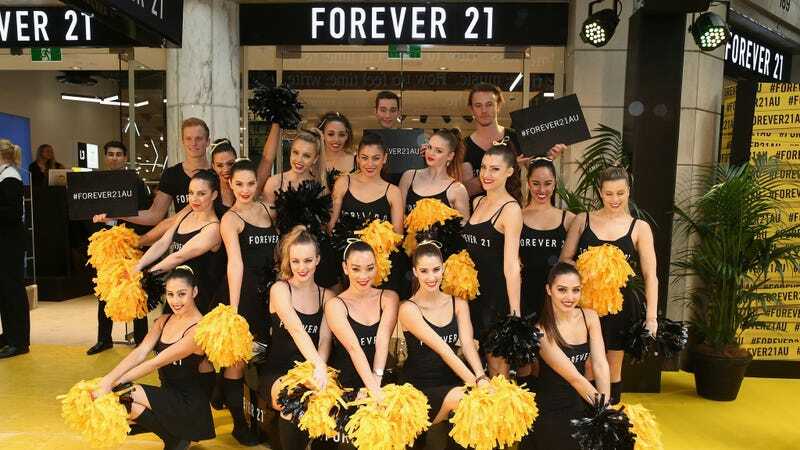 “In reality, these on-call shifts are no different than regular shifts, and Forever 21 has misclassified them in order to avoid paying reporting time in accordance with applicable law,” [Kennedy] said. California law stipulates that employees be compensated with “reporting time pay” for being required to report to work but only being asked to work less than half of the actual shift. That pay is supposed to come to an employee’s regular rate of pay for half of a day’s work. Earlier this year, CNN learned that the office of the Attorney General had sent letters “to 13 retail chains [including Target, Sears, Abercombie & Fitch, and Victoria’s Secret] asking for information about their so-called ‘on call shifts.’” Many of those retailers were the subject of a BuzzFeed report that detailed just how miserable on-call shifts can be. Two months after that piece was published, Abercrombie & Fitch promised to end on-call scheduling, but the office of the Attorney General has yet to make “any new rules on how such shifts should be treated” industry-wide. In August, an Abercrombie & Fitch spokeswoman predicted we “probably will see some of the others making changes to preempt any legal issues they might run into.” But it doesn’t exactly look like they’re making them quickly enough.